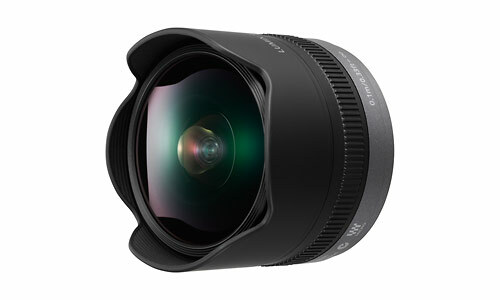 Panasonic announced a new Micro Four Thirds fisheye lens today. That makes 11 dedicated Micro Four Thirds lenses - when they're all available, anyway. I think the Micro Four Thirds format is starting to look pretty legit. I would like to see some more pro-spec'd zoom lenses, though. I'd love to see a 25mm at 2.8 or better. It would be a 50mm normal lens equivalent with good low-light performance. I know there are 4/3 lenses for this, but I'd like to see a micro version! Feel free to edit my photos! Yeah, I'd like to see more Micro Four Thirds versions of existing Olympus Four Thirds lenses. In particular, I'd like like a M4/3 12-60mm zoom. Also, the 70-300. Those two lenses were my standard mountain bike kit with the E-620, all last summer. If I had smaller, dedicated Micro Four Thirds versions of those two lenses, I'd be in Micro Four Thirds heaven! I'm hoping for better micro four thirds lenses, too, particularly the pro spec zooms. But that won't be worth much for me without better AF performance ! I think that the next round of mft cameras need a CPU boost, and perhaps more bus speed between the components. Problem is that comes at the expense of battery life and higher operating temperature. I'm hoping that with money (increased sales), better performance will follow. Image quality is already good. But AF is just ok. It's fine for most photography, actually. But for action or continuous AF in video mode, the Pen cameras are still pretty weak. Any sample shots with this lens?